What do you use to mark your tools? Tool theft is a popular way for thieves to make a quick bit of cash, whilst ruining the lives of innocent tradespeople up and down the country. Whatever disappears from your van/garage will most probably be making its way towards a car boot sale to be sold at a fraction of the price it cost you to buy. Many constabularies have recovered large amounts of tools and are in the process of trying to reunite them with their rightful owners, but one surefire way to make sure you never see your tools again is to not bother marking them. 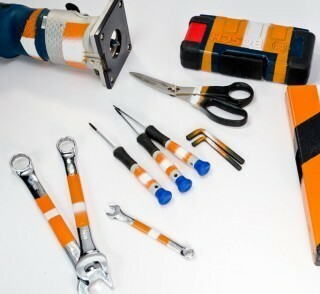 Those who do mark their kit have a much greater chance of being reunited with their trusty tools, especially if they use long-lasting and unique markings. At the very least, marking your tools will decrease their resale value and therefore reduce the size of the potential market for such items. Even if your tools are locked away safely every night where criminals cannot reach, there’s still the chance that they might go missing from your toolbox during the day when working on site. Tools have a habit of growing legs and going for a walk, so it’s important to make sure yours are easily recognisable with a distinctive mark. 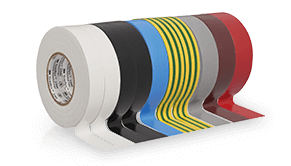 Some people elect to use electrical tape to mark their tools – a simple solution, but not very useful. Electrical tape can easily be peeled off by light-fingered work mates and career criminals alike. Add to this the fact that over time the tape can move around and leave sticky residue on handles and you can see that this is by far the least effective method to use. The trusty permanent marker pen is a decent way to mark your tools, but not very unique. If all your workmates were to write their initials on their tools with a black marker pen, you wouldn’t be able to instantly spot your tools in someone else’s hands from across the yard. When using a marker pen on your tools, try and make sure you write on a recessed area where the pen will not easily rub off with use. It’s much more fun to give your tools an easily identifiable individual look – why not try spray-painting them with a unique colour combination. The best time to paint your tools is when they’re brand new, without having to clean dirt off them to get the paint to stick. Make sure the spray paint you’re using is the right type for the tool’s surface, and ensure you don’t paint over any serial numbers, identifying marks (measurements etc.) working surfaces (like the teeth of a saw), moving parts, hinges etc. We’ve heard stories of tradesmen who use their girlfriends’ nail polish to place a unique mark on their tools. If the nail polish is pink and glittery there are not many workmates who would quickly run off with your tools ‘accidentally’. Make sure you mark your tools in an obvious place, as well as a more inconspicuous place like under a battery cover. 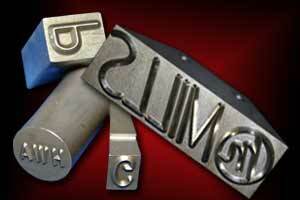 A lot of people opt to use a metal stamp to brandish their tools with their initials or company name. This is a long-lasting method, but may be difficult to spot without close inspection of the tools – useful if your tools are stolen by thieves to resell, but less useful if you’re trying to spot your spanner in your workmate’s hands. 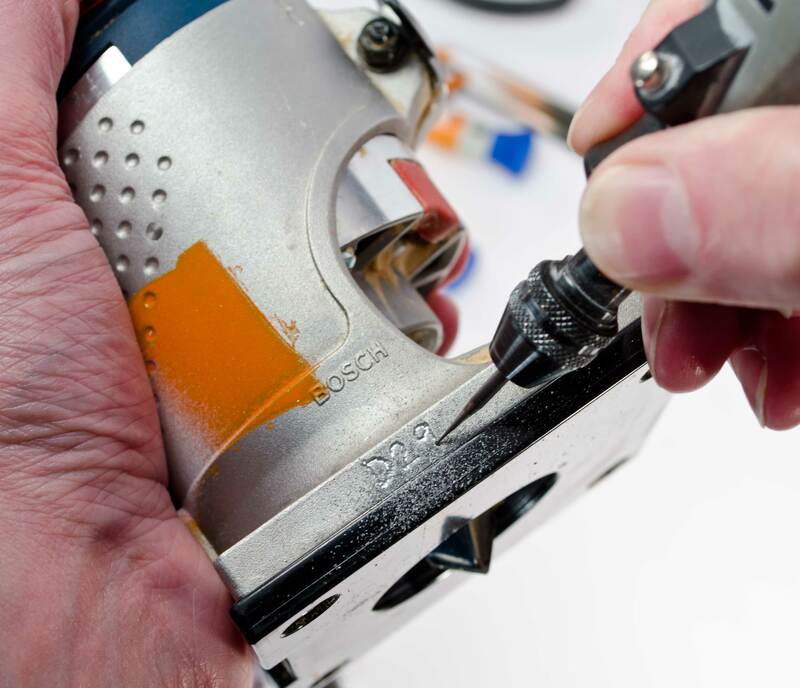 Our advice would be to use more than one method of marking your tools, such as engraving and spray painting. That way, you can ensure your tools are easily spotted when they get ‘borrowed’ on site, and can be easily identified as your tools by the police if they are stolen. Also, make sure you mark somewhere obvious as well as somewhere hidden and hard to get to in case the thief files off the more obvious markings. And our final piece of advice would be to make sure your tools don’t get stolen in the first place! Invest in upgraded locks, a decent alarm and a security box for your van if you need to keep tools in it during the day and overnight. For more information about the vehicle security options we offer, visit our ‘Security’ page!